Help, I need to report a homicide because the Anaheim Ducks got murdered! 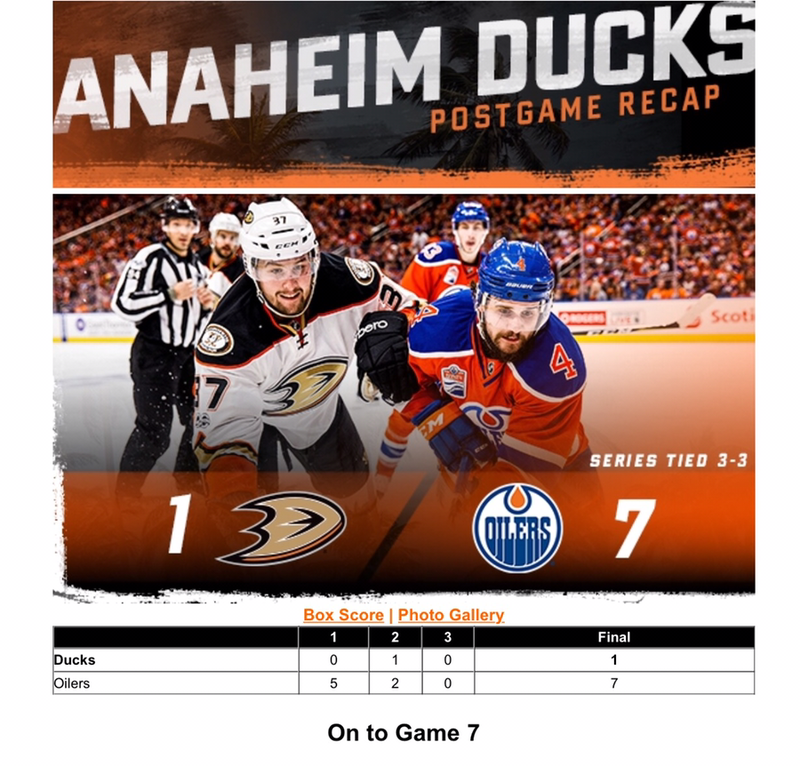 The Anaheim Ducks came back in game 5 by scoring three unanswered goals, with less than four minutes left of the game. They could have closed the series by winning game 6 in Edmonton. Instead they lost big to the Edmonton Oilers with a score of 7-1, and that also included a Hat Trick.